Preheat the oven to 400°. Arrange the apples in a small roasting pan and add 1/4 cup of water. Fill each apple cavity with 1/2 tablespoon of butter. Drizzle with the wine and sprinkle each with 2 teaspoons of sugar. 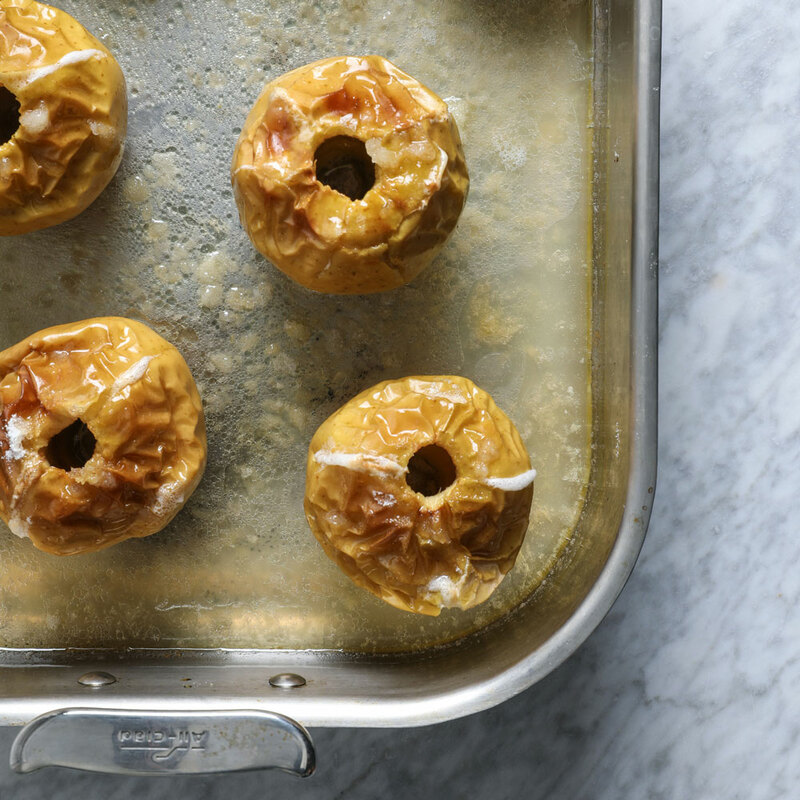 Cover the apples loosely with foil and bake for 45 minutes, until barely tender. Uncover and bake for 15 to 25 minutes longer, until the apples are tender but still hold their shape. Serve with the pan juices.